In the past months I was glad to had the opportunity to accompany a number of customers with a Windows Intune proof of concept, primarily focused on the Mobile Device Management features introduced by Wave-D of Windows Intune. The Proof-of-Concept’s (PoC) for Windows Intune showcase the benefits and features of using the Windows Intune service to manage mobile devices in IT environment through the cloud or in a hybrid scenario. 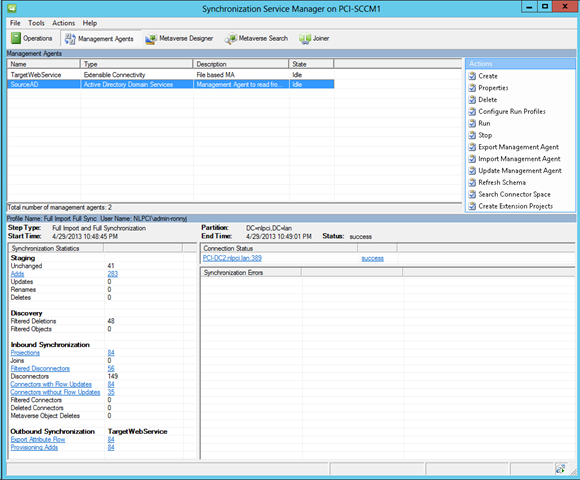 During the POC we had a challenge how to introduce selective synchronization of user objects between on-premise Active Directory and Windows Azure Active Directory. This to achieve to synchronize only those user accounts which are Windows Intune ‘enabled’. Before continuing how to configure selective Active Directory Synchronization some background of how Active Directory synchronization between on-premise and off-premise take place. Although you can manage your authentication entirely in Windows Azure Active Directory (WAAD), you can also synchronize WAAD with an existing on-premise Active Directory environment using the Active Directory directory synchronization (DirSync) tool. 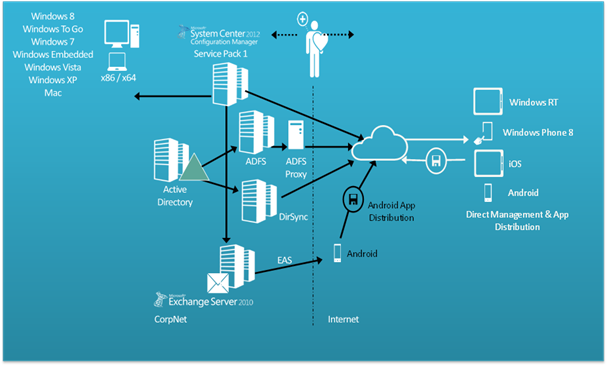 DirSync creates a read-only connection from your on-premise Active Directory to WAAD and ensures that the cloud-based directory is always synchronized with the on-premise directory. 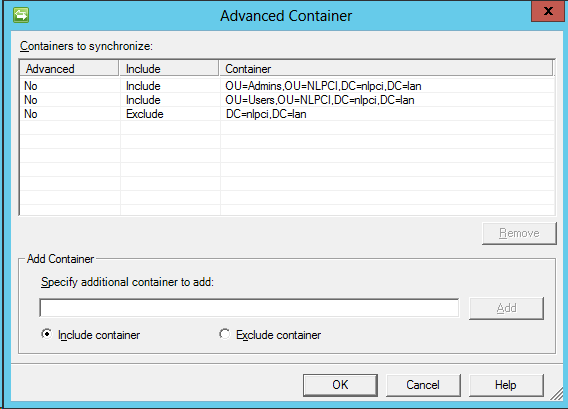 If you make a change in your on-premise Active Directory, the change is synchronized to the cloud. On-premise account passwords are not transferred to the cloud. Users will be assigned a new temporary password. 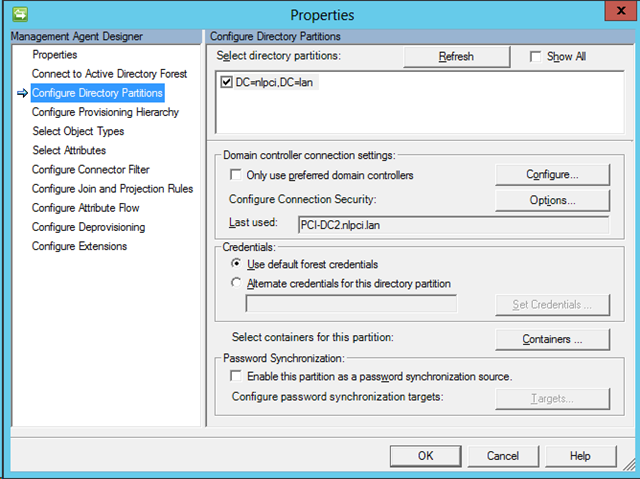 To avoid password confusion, it is recommended that you consider deploying single sign-on (SSO) with Active Directory Federation Services (AD FS). This configuration enables users to access on-premise and cloud services by using only corporate credentials. 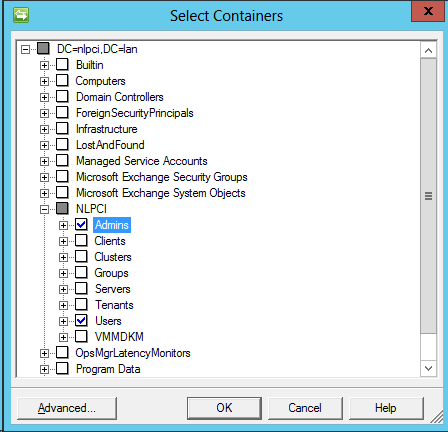 My colleague Mark Blok pointed me to an interesting blog post from MSExchangeGuru.com how to configure select Active Directory synchronization for Office 365. 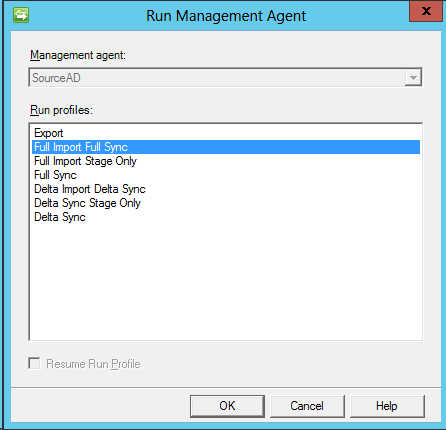 Until now, one of the challenges of DirSync is that it would sync your entire AD to Windows Intune/WAAD. This means that if you had 10,000 AD users and only wanted 500 in Windows Intune, you would have all 10,000 users listed in Windows Intune. User attribute based, enabling you to control which objects shouldn’t be synchronized to the cloud based on their AD attributes. This blog post explains how to filter based on Organizational Units as this the most common used scenario for Active Directory user object filtering. Once finished, you can check the results at the bottom left corner of the window. 283 objects are removed based on the configured filter. If you have additional demands how to filter your Active Directory synchronization objects you can use domain or User attribute based filtering as well. The process how to configure is described here. Hi Donny, just wondering how do you build a PoC for a customer. Do you have your own ‘runbook’ or does Microsoft supply a document with information? 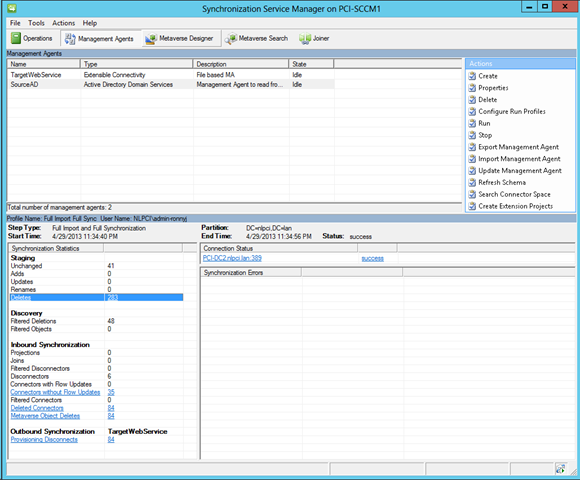 In addition: do you require the customer to have a Test environment, or do you install Intune (SCCM integration etc.) in the production environment? Thanks!